Who does not want a better skin right? SAFI is currently running a nationwide promo called SAFI Fair until 30th April at participating outlets such as Mydin, Aeon, Aeon Big, Giant and many more. It's all about going on a beauty journey! As this year’s theme is “Mulakan Pelayaran Kejelitaan Safi” .. From different skincare line that SAFI carries such as SAFI, A skincare range made only with pure natural ingredients with Habbatus Sauda , SAFI Balqis, SAFI Rania Gold & SAFI Rania Diamond meets each of the women needs perfectly to that beautiful skin every women loves. As the No.1 Halal Skincare brand in Malaysia SAFI highlights that they have Habbatus Sauda in their skincare products. It is a well know ingredient among Muslim about its endless good benefits. Each skincare line is made for any women stage. Let me introduce to you some of their products from each different line! Keknis! If you know what I mean. Hehe. "Cerah dalam masa 3 hari!" 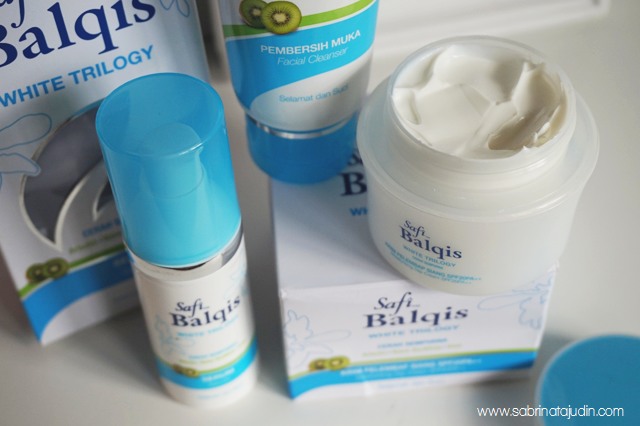 Safi Balqis range target for any young female who want a healthier and fairer skin. Especially when living in Malaysia, these hot weather, sun ray and humid weather can really make our skin darker. Along with that it comes in two different ranges to fit different skincare needs such as in the regular range and oil control range if you have oilier skin. It contains the benefits of Arbutin, nano Biowhite & Kiwi Extracts. Nora Danish! Did you know how old she is? You can't tell when you look at her! She is effortless beautiful and just simple gorgeous! 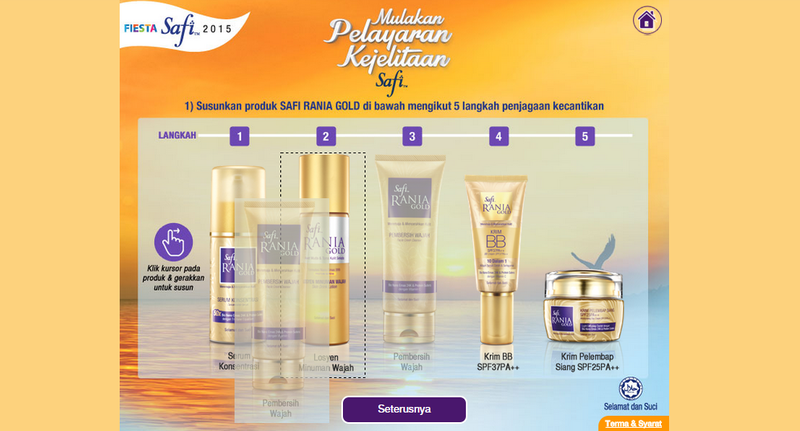 Her secret is the SAFI Rania Gold. A skincare that has all the goodness that gives you anti aging properties for that younger looking skin. It is formulated with these "gold particles" called Nano Gold 24k that helps to absorb in to your cell and activate your cell to reduce wrinkle so your skin will look more radiant and more firm. It also contains Vitamin B3 to help make your skin brighter. 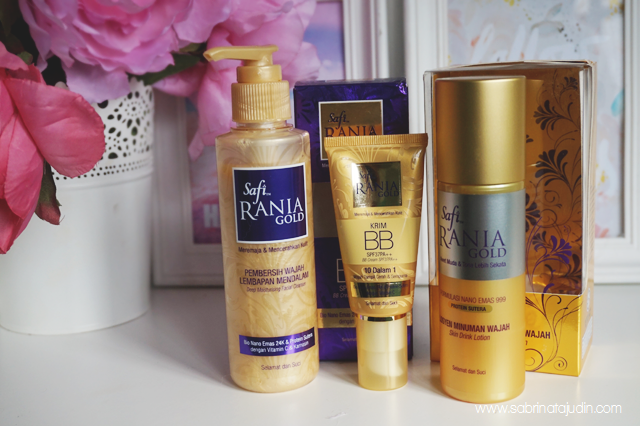 I really love the scent of this SAFI Rania Gold. 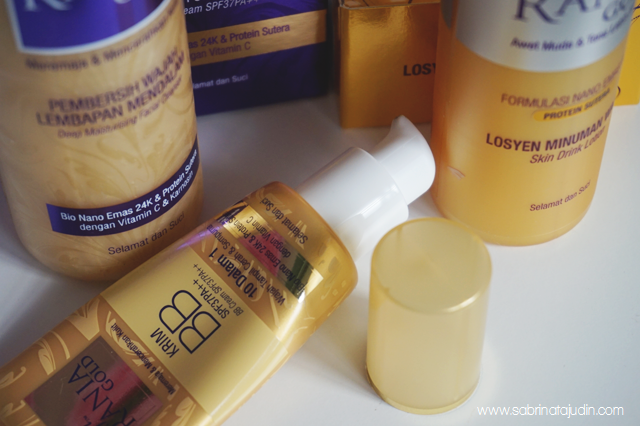 If you did know I already blog about these awesome hair care range that is tailor made for all hijab girls out there! 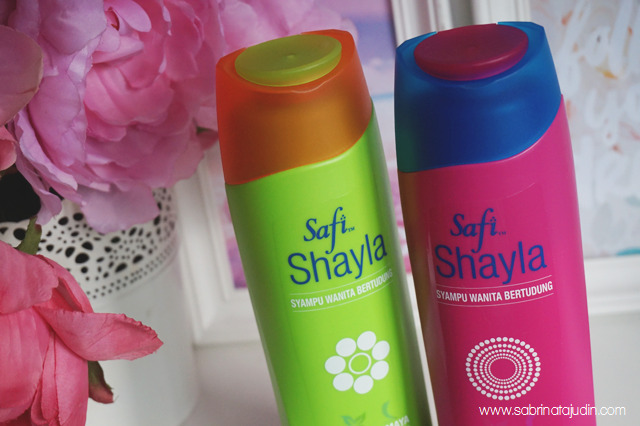 It is the SAFI Shayla Hair Care range that helps young girls that wear hijab to encounter hair problems to long wearing of our scarves on our head. Sometimes it can be very uncomfortable. Shayla Consist of 4 shampoo variants & 2 conditioners. Simple go to their Facebook Contact App Page and enter. Arrange the skincare regime correctly by just dragging it around. 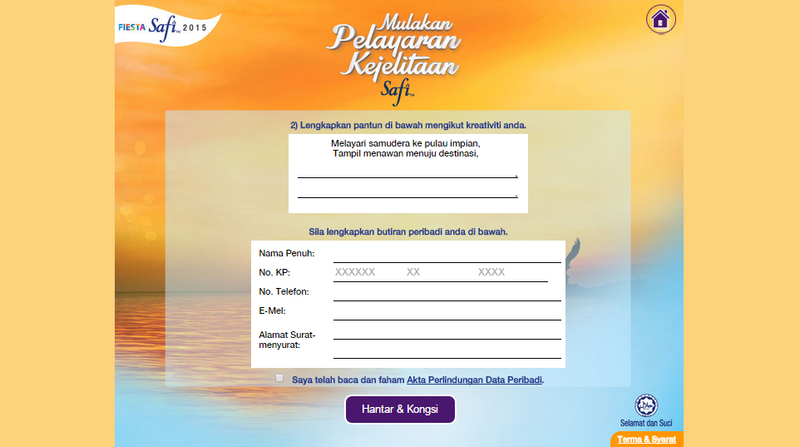 Key in your details and complete the pantun . best for 40s but also great for 20s if you want to combat early sign of aging! <3 i love the cleanser! Keknis aka hanis zalikha..hehe.. i've try the shampoo.. best sangat.. hehehe..